It turned out better than I could ever have imagined. 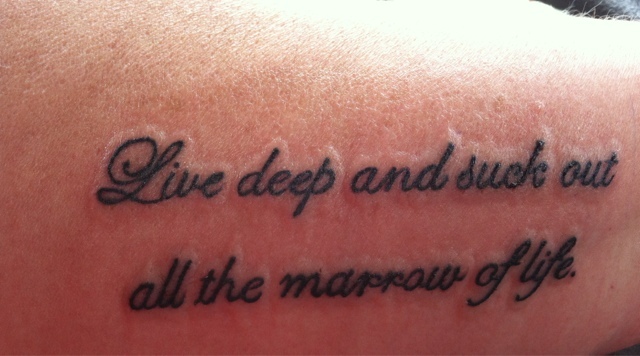 Inside my arm, just above my left wrist. A constant reminder to me that despite all my health issues - all my pain, all my huffing and puffing and not being able to catch my breath, having to rely on a scooter to get around; despite the infusions and chemotherapy and all the side effects that go along with them - life is here to be lived. And I intend to live it.